San Sebastián. Culinary capital, yes. Breakfast capital, most definitively a big, fat, NO. 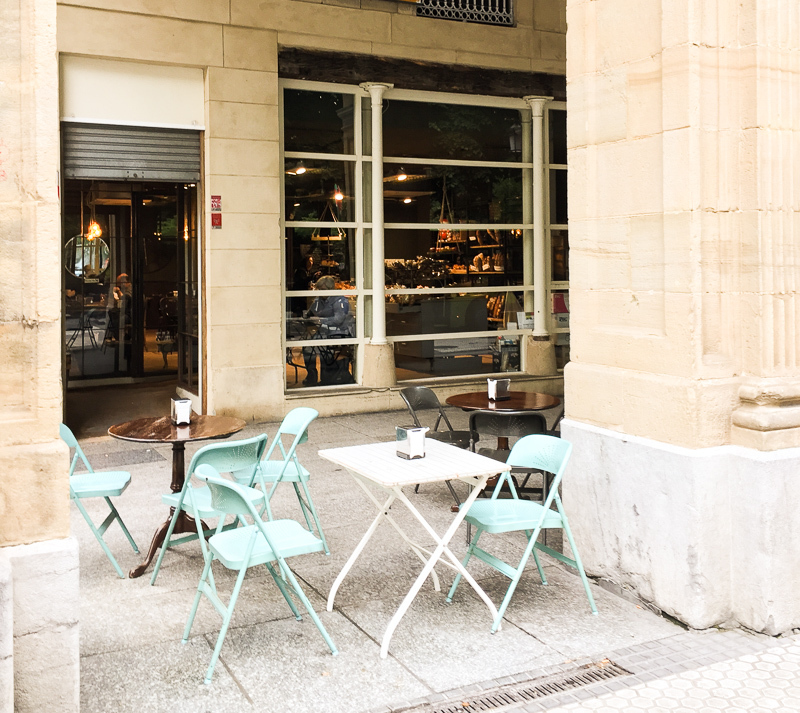 Where to eat breakfast when in San Sebastián? This post has been a long time coming, and interestingly enough should I have published it two or three years ago it would have been strikingly different. Many of these breakfast spots have popped up relatively recently, a testament to how little Basque and Spanish people care about this particular meal. So from my point of view as an American and a baker/cook, I present to you the Top 5 Breakfast Spots in San Sebastián. This list intentionally features a wide variety of breakfast priorities, even featuring the best continental breakfast, i.e., croissant, espresso, and OJ. Instead of putting them in order, I've attempted to help guide you according to what type of breakfast eater you are. Enjoy! There's a lot of competition when it comes to the basic European pastry shop in San Sebastián. My favorite (for both objective and totally subjective reasons) is Paries. This French bakery, based in nearby Saint Jean de Luz, opened up a branch this year in San Sebastián (after a failed attempt across town a few years back). They first won my heart with their almond croissant, one of the only places in town to reuse their old croissants to make one of my favorite sweets. After eating my fill, I began to sample the rest of their goods, many of which are also almondy (love!). They have one of the best gateau Basque around, as well as financiers, Jesuitas (another almond pastry) and some very good croissants. A classy French bakery with more than 100 years in the same family, these people know what they are doing—you are in good breakfast hands here. Sakona is the poster child for good coffee in San Sebastián. I worked with owner Javier at The Loaf when this potent roaster was just a sparkle in his britches, and now it is a full blown, beautiful location right on the river Urumea. 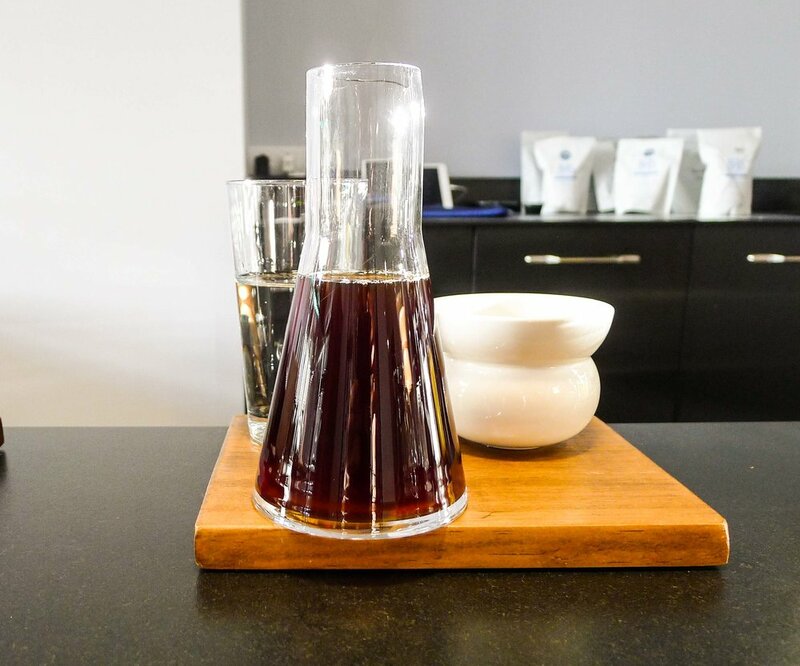 The roasting premises are about twenty minutes outside of town, so the coffee (whether its espresso, filtered, pour over or Chemex) is as fresh as can be. 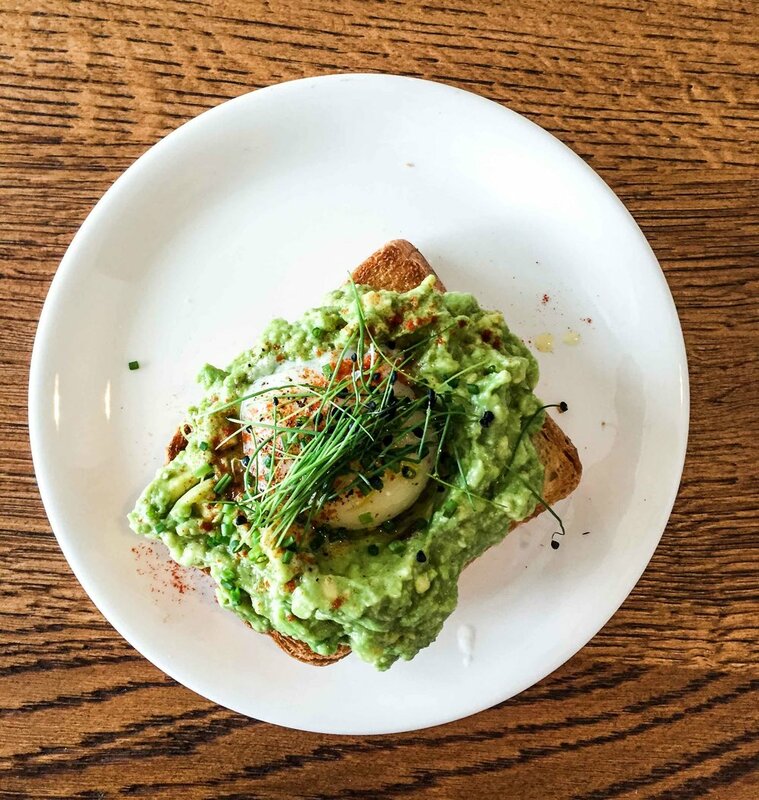 Sakona has also embraced the toast trend, and it's one of the only spots where you can get a savory breakfast. They have a selection of greatest toast hits: benedict, avocado, sous-vide eggs, and salmon. They also have some decent baked goods as well as chia pudding with local yogurt—a little something for everyone. Expect major crowds in summer, especially on weekends. For the most part, San Sebastián has resisted the whole healthy living movement, insisting on retaining its traditional (and probably actually healthier than any amount of juice detoxes and chia seeds) lifestyle habits. However, every now and then a freaky juice and an icy açai bowl really hits the spot. And for those times, there's Alabama cafe. They have dozens of different juice combinations, as well as smoothies, açai, and a few other nods to current health trends, like tapioca crepes and poke bowls. One of the only spots in town where you can satisfy your craving for health trending topics. The Loaf is a bakery well-known throughout the city and among visitors. They brought the old-school, sourdough bread with long fermentations back to San Sebastián. What concerns us today ,however, is their croissant, which is the best in the city. Made with French butter daily, it's been long studied and perfected. You can take it with a well-made coffee (roasted by Sakona, above) and with a fresh-squeezed orange juice: the perfect European breakfast. Honestly, it pains me to recommend this place. It has always been one of the strangest cafes in San Sebastián, since its opening a year or two ago. It went for a long time without a name, and then a tentative one was scrawled on the window, seemingly meant to make it impossible for tourists to remember: Gogoko Goxuak. Now it appears to have perhaps changed names, to Zabala Kafetak. Either way, it has probably the worst, slowest service of anywhere in San Sebastián. 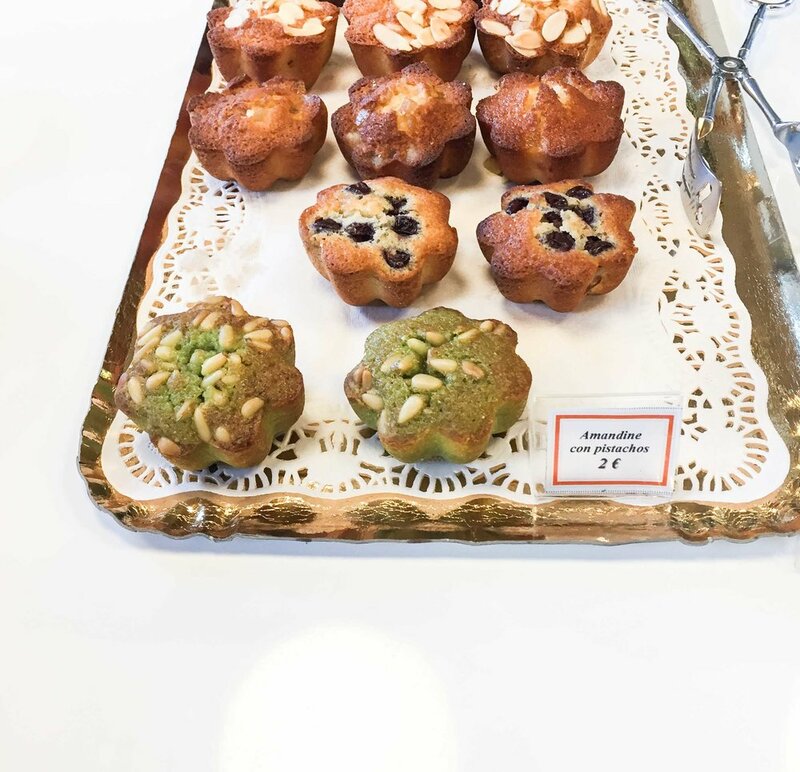 That said, they have the most correct muffins in the whole city, and I particularly love their whole-wheat muffins, which come in chocolate, plain and raisin-walnut. They are just the right size, moist, and not too sweet. Did I miss something? I kinda sorta doubt it but do leave me a comment if you think so! Note: For all you English out there, try Belgrado for your English breakfast (available all day, every day). I have also heard a rumor that Bar Next Bi in Gros offers it as well, but I have not verified said rumor, so if you have please comment below!